The Fed yesterday, in a fit of its typical though inexplicable optimism, raised its projection for economic growth. In September, it had projected that the US economy would grow between 2.0% and 2.2% in 2014. Now it raised its “central tendency” to a growth of 2.3% to 2.4%. That type of measly economic growth is far below the ever elusive escape velocity that Wall Street keeps promising without fail every year to justify sky-high stock valuations. But now reality is once again mucking up our already not very rosy scenarios. The service sector, the dominant force in the US economy, has taken another hit. Markit’s Services PMI Business Activity index slumped in December to 53.6, down from 56.2 in November. It’s now nearly 3 percentage points below the average over the last two years (56.4). And it is barely above the terrible growth rate in February (53.3), for which the polar vortex that had covered much of the nation was amply blamed. 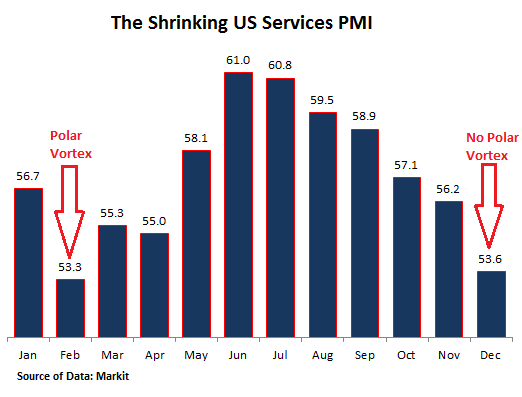 Here is a chart of the shrinking services PMI. The peak was in June. From that point of maximum exuberance, it has been one heck of a downhill ride. Note the sudden no-polar-vortex plunge from November to December. This time, there were no polar vortices to blame. But there were plenty of business reasons. Incoming new work was the lowest in nine months, with some survey respondents indicating that “the economic outlook had weighted on client demand at the end of the year.” The rate of job creation dropped to the lowest since April, with some respondents citing softer new business as reason. The Composite PMI, which combines the Services PMI and the Manufacturing PMI, dropped sharply from 56.1 in November to 53.8 in December. 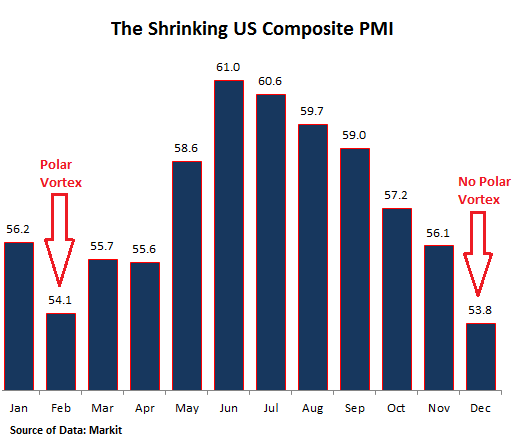 It has been on the same trajectory as the Services PMI, with the peak in June, followed by a downhill ride that culminated in a sudden plunge in December that left it below February’s polar-vortex low! The extent of the slowdown suggests that economic growth in the fourth quarter could come in below 2% which, with the exception of the downturn caused by adverse weather in the first quarter, would be the worst performance for two years. The slowdown is linked to weaker growth of new business as customers becoming increasingly worried about the economic outlook both at home and abroad, with the prospect of higher interest rates cooling demand alongside side rising global geopolitical concerns. Across both manufacturing and services, new business grew in December at a pace well below the rates of expansion seen earlier in the year. Job creation has also slowed sharply alongside the cooling of demand, and payroll numbers across both sectors showed the smallest rise for eight months. Another bumper month of non-farm payroll growth looks unlikely in December, with private sector payroll growth unlikely to breach the 200,000 mark. But we live in a world where central banks have succeeded in surgically severing any link between economic reality and the stock markets. They now run on the fuel that central banks feed them. They cling to every word, every indication, however vague, that the free money will continue ad infinitum. And yesterday, the Fed loaded them up with fuel. It further distanced the theoretical and ever more quaint notion that monetary policy would someday be “normalized” around the world, and that markets would somehow have to figure out how to stand on their own feet. What might such a scenario look like? Central banks still aren’t buying oil as part of their QE, and look what happened. For heaven’s sake! If things are going so wrong, why is the DOW up 400 points? I am an amateur who is interested in economics; I just don’t understand how all you bloger guys keep saying/ indicating/hinting that we are facing disaster and fiat currencies are breaking down etc. etc. etc. But the blinkin DOW goes UP 400 points, and has been going up for months. The stock market is not based on reality but on hopes and delusions. You need look no further than at Price/Earnings ratios for some companies (for example, compare facebook to any established company). It’s a gambler’s hangout and a fool’s paradise. Prices were skyrocketing then, too. How cute. Someone who thinks the stock market is a reflection of the economy. Murdo, sadly you will need to read this and other sites for a while to get the full picture. If you want a one word summary, it is corruption. Hang in for the long term. Also, read more under FAVORITE READS from the left side column. For starters, quit your job as a senior economist in the Treasury Department and go back to get that junior college degree in econ. you interrupted when your rich relative who was a bundler for Obama got you your current job. Finally, checkout the price of legitimate confederate money. It’s worth more than USDs relative to face value. Good Luck with your education. Thanks Archy Don and others who have responded to my rather pathetic intervention, but I am not an “expert” in disguise, I really am an amateur at this business. I follow Zero Hedge and loads of other blogs / info sites, and for ages I have been hearing all the opinions expressed on them, yet I don’t see the crash coming. I read how bad the EU is, but I would wager that it will never break up – no matter HOW bad it gets. It just ain’t going to happen! As for the rest of the world’s economy, I think it will just keep staggering forward, with the powers that be sticking plasters and patches on every hole, and gradually it will heal itself. As far as the EU is concerned, I just hope and pray i am wrong, but unfortunately I don’t think I am. The crash has been predicted for a while, but because the financial industry (as well as reported numbers) are manipulated if not completely rigged, it’s hard to know when the house of cards will fall. I agree things will keep staggering forward–until they can’t or until you see the European or American version of the Arab Spring. 1. Fed makes nearly “free” money available to banks. 2. Banks loan it to DOW companies at very low interest rates. 3. Companies purchase their own shares back driving up the price. 4. CEO’s, having fattened their stock options, cash out. 5. Top 1% wins again while those on fixed incomes and the prudent who see the valuations are not based on business realities loose again. I too am confused. I can the stock market is good. I can also see that the real economy is not good. It’s all QE, ponzi, zirp, derivatives (still not sure what they are) in the trillions, the new exploding super rich class with super yachts with helicopters landing pads, nearly 50% of 25 year olds living at home, laws stopping people from feeding the homeless, armored police vehicles, free medical care for people from south of the border while veterans die waiting for it (and a lot of other Americans, too) and hegemonic insanity in Washington that’s getting us close to a nuclear war. The most interesting bit of lunacy in today’s absurd market action was the rally in oil stocks despite the continuing decline in oil prices. While oil did rally to a 59 handle early in the day, it fell back quickly and closed with a 54 handle. It ought to be apparent to everyone except economists and stock market gamblers that the world economy is slowing and that the US will not be immune to the slowdown. My sources tell me that retail spending is already plummeting in some of the wealthy enclaves in this country. Notwithstanding Wall Street’s wishful thinking, risk cannot be completely banished from financial markets, no matter how much money the Fed prints and no matter what blather emanates from the Federal Reserve’s talking heads. Two things the Fed cannot print are revenues and profits. 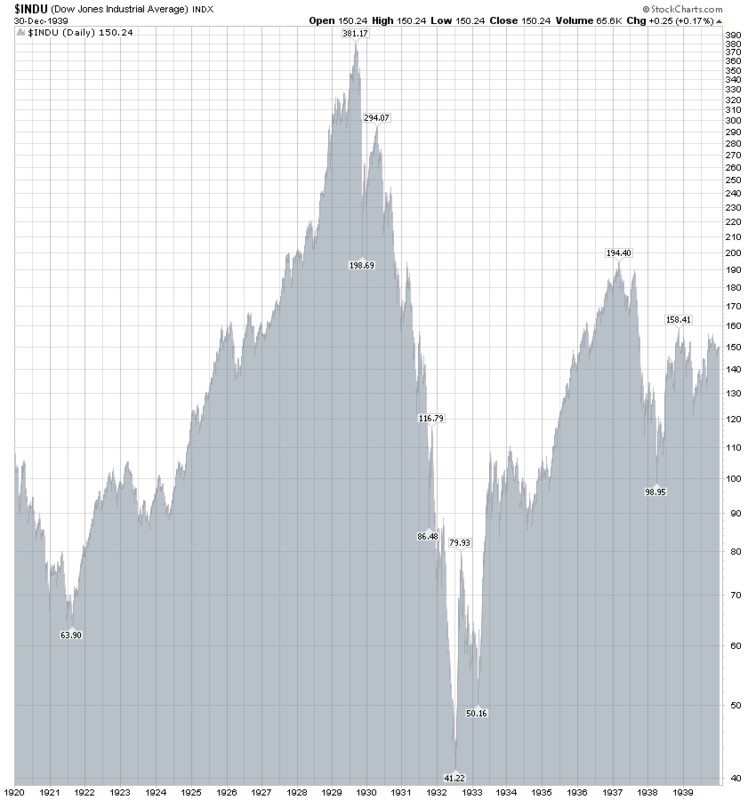 Unfortunately, by acting to prevent healthy corrections in the financial markets, the Fed has dramatically increased the probability that, when the weight of accumulated risk is so great that it can no longer be kept at bay, we are going to be in for the mother of all stock market collapses. I second the concerns of the original poster. I have read various blogs on the shortcomings of the economy but they appear to be like crying wolf with regards to predictions of a crash. 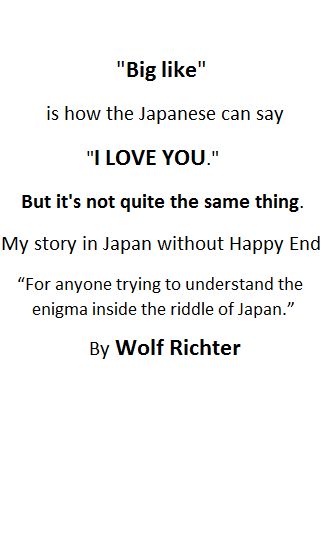 I think of this line from Only Yesterday regarding how economists cried “Wolf! Wolf!” In 1927-1928 but the wolf never seemed to come. I do accept that the job market and prospects for us in the 99% appear underwhelming. I do wonder why the Bay Area and a handful of other places appear chosen while the rest do not. the entire system in this country has become one of indoctrination of the youth. if your minds are your tool of survival the government schools want to cripple it, to rob you of your integrity and judgement because independent people are free people. don’t try to think for yourself, conform! comply! conform! don’t read about the Roman Empire and ask about bread and circuses! watch football, post inane comments about the Kardashians and spend your SNAP cards! and most of all PAY NO ATTENTION TO THAT WOMAN BEHIND THE CURTAIN! Here endeth the lesson.